Morzeny: [after Grant kills a look-a-like Bond] Exactly one minute, fifty-two seconds. That's excellent. Q: Why was Tanya's voice dubbed? Q: What did Nash put in Tanya's wine? Q: What's the point in stealing the Lektor? Won't the Soviets just change their codes when they realise it's gone? 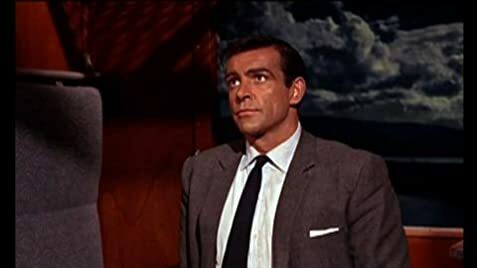 A Bond film that stands out among all other films as well as the Bond films, From Russia With Love is filled with not only a heavy dose of nonstop action and adventure, but also an intelligent plot that commented heavily on the world state of affairs in 1963. Capitalist and Communists are set to work against each other by SPECTRE, an organization which does not give any special considerations to economic systems, but wishes to weaken the balance of world power and take control itself. 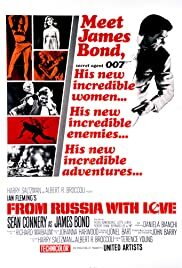 The survival of the Bond films depended on their ability to change with the decades, and From Russia With Love is no exception. Great acting performances from not only Sean Connery, but Robert Shaw, Pedro Armendariz, and Lotte Lenya (the wife of Kurt Weill).